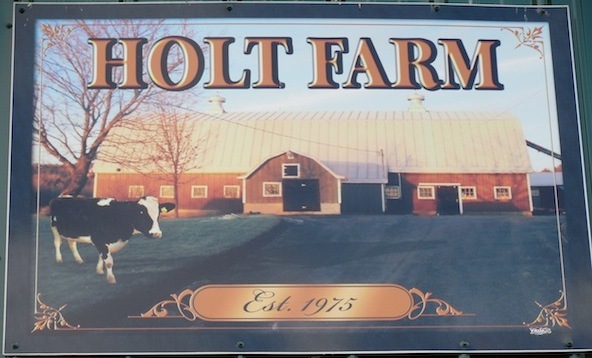 It’s not easy to be a dairy farmer, but at Holt Farm in Canaan, three people have forged a relationship to give a historic dairy farm a future. Mike Holt’s family has been farming in the Canaan area for generations. He bought his own farm in 1975 and he and his wife, Betsy, moved in the following year. They poured their energy into farming. 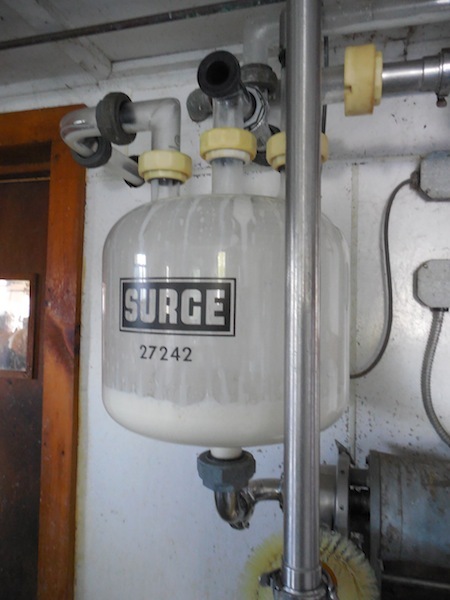 Together they built a barn and expanded the milk room, which fits 32 cows and still uses original glass pipelines. The couple kept up the dairy for a long time, but eventually the costs of production rose too high. They decided to sell the herd and found jobs in town, and while they kept haying their fields and grew some vegetables, the dairy barn and milk room sat empty. 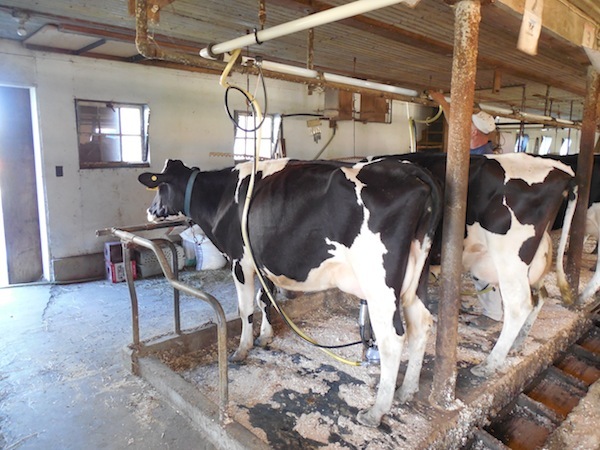 A few decades ago, Mike said, there were 8 or 10 family dairy farms in the area; now there are only two. This drop isn’t exactly an anomaly. Across the state, the number of dairy farms has dropped dramatically in the last generation for the same reasons. Failures in federal policy—the federal government sets the commodity milk prices, and controls the price paid to farmers—have meant that over the course of the last decade, the farmers’ income has often been well below cost of production. But in Canaan, the Holts farm is now bucking the trend. For several years, the Holts had been considering reviving the dairy. “We have all the equipment,” Mike said, “The barn, the milk room…it’s all there.” But rather than start over again themselves, Mike and Betsy decided to search for a young farmer to work alongside them. Working with a young farmer would relieve them of a lot of the responsibility of running a farm, while also allow the new farmer to start farming without the overwhelming burden of building infrastructure and buying equipment. The couple originally looked into using Maine Farmland Trust’s FarmLink program to find a farmer to work with them, but in the end they found young farmer Nathaniel Brooks the old-fashioned way—through word of mouth, right in their own community. Nathaniel and the Holts spent months crafting a lease to suit their liking. Although MFT didn’t have a direct role in connecting the Holts with Nathaniel, Nina Young, one of MFT’s lands staff, visited the farm and met with them a few times to talk through questions. “Even though we didn’t go through FarmLink, Nina was a big help,” Mike said, “She was a really good sounding board.” As they wrote the lease, they all wanted to have flexibility, a period of time to transition, and a trial period for Nathaniel. Now, after two years, their relationship, and the farm, is progressing remarkably smoothly. Since joining the Holts, Nathaniel has updated a few aspects of the farm. 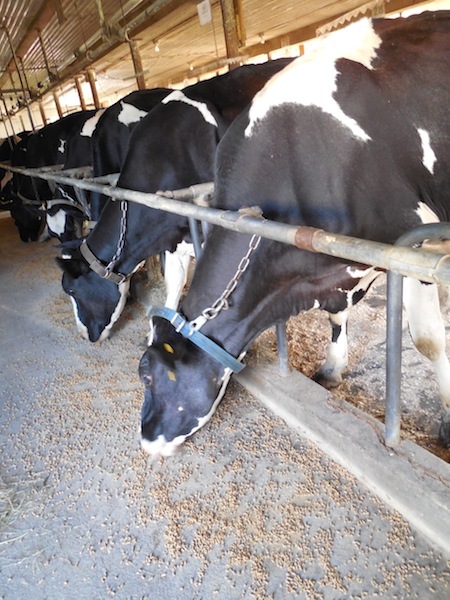 The biggest change, they say, is in the feeding program: Nathaniel works with a nutritionist who formulates each pellet to match the minerals and energy in the hay to help keep the milk consistent. 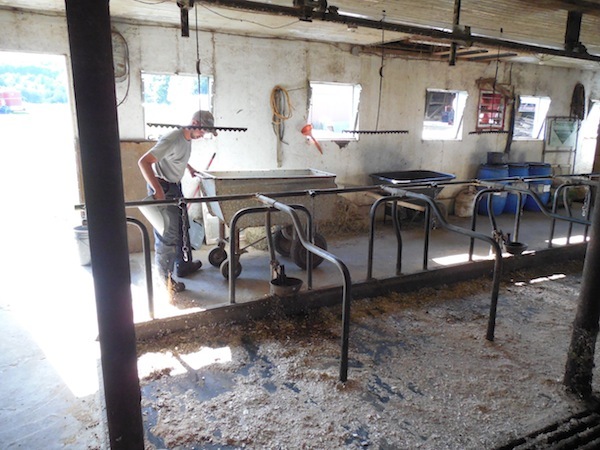 Nathaniel is very conscious of the milk his cows produce—he added a few Jersey cows to the herd of Holsteins to increase the butterfat content, and he carefully checks the protein and butterfat after each milk check. Mike and Betsy still live on their farm and are a big part of the operation, but they don’t have the stress of the full responsibility. “We don’t have to help, but we do,” said Betsy, to an appreciative smile from Nathaniel. “He’s never said no.” They work together as a fully integrated system, and everyone knows what needs to be done: whether distributing feed, sweeping the floor, or hooking the cows up to the milking machine. According to Nathaniel, working with the Holts has been a great opportunity for him. One of his main concerns about becoming a farmer—which he’s wanted to do for as long as he can remember—was accruing debt. The arrangement with the Holts has allowed him to use their existing infrastructure and equipment while he focuses on building his herd. He’s been gradually buying his own machinery and is grateful to be able to accumulate farm supplies debt-free. Nathaniel sells his milk to Hood dairy in Portland, and is also a member of the Agri-Mark co-op which produces Cabot dairy products. Read more about him and the Holts in the Portland Press Herald, or watch a video here.